Captivating and heart-breaking, grim reality stares back at us with the eyes of a child. 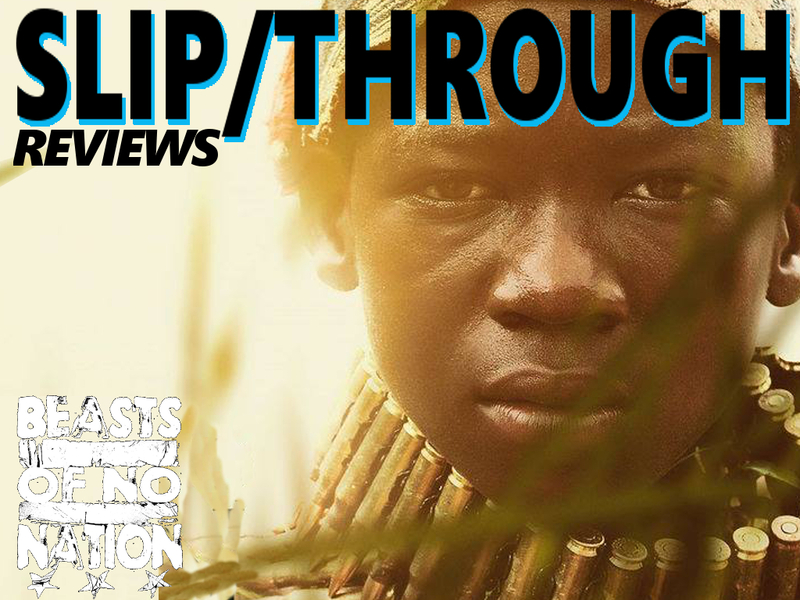 Cary Fukunaga helms this important feature with Terrence Mallick meets Francis Ford Coppola style and camerawork. 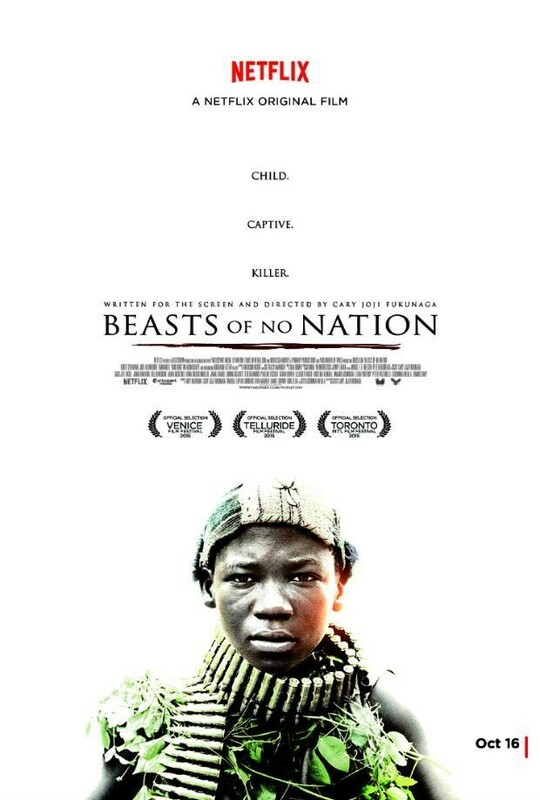 Young rising talent, Abraham Attah, leads the way as an abandoned boy forced into war. 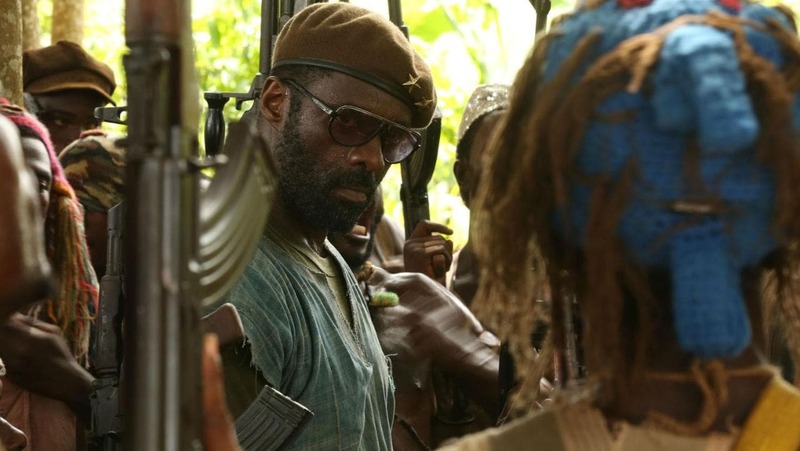 Idris Elba portrays his corrupter – a soldier with a child army. The story reminds me of Stanley Kubrick’s FULL METAL JACKET. The film demonstrates how innocence is broken, twisted, and mangled so that these boys can become lethal fighting machines. Elba is the dominant presence that commands these children to war. However, Attah deserves all the Award hype and an Oscar nomination for his transformation. We see him arc from the playfulness of bartering a broken television, to a lost and devoid soldier wandering the battlefield. 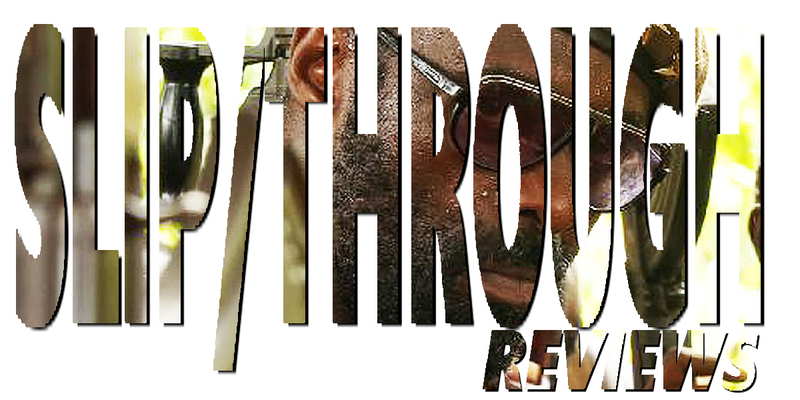 While Elba is good in his role, his character’s story twists into cliched and tired territory, ultimately losing the wind in the sails. When we meet his soldier character, we are uncertain of his motives. We don’t know if he’s a rebel, or a warlord? That said, there is a redeeming scene towards the end when Elba’s character hopes for a promotion, failing to see the false propaganda aimed at himself. 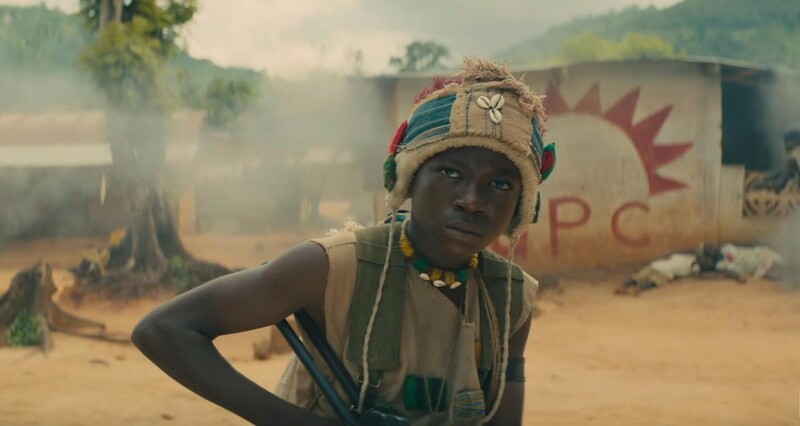 The real highlight of BEASTS OF NO NATION is the cinematography. The movie is separated into “visual chapters” of sorts. The best being the shift to a weighted red and purple palette during a psychedelic horror show in the trenches. This steadicam sequence really felt like APOCALYPSE NOW. The audience nearly expects Colonel Kurtz to be leading this camp. While young Attah’s character is on drugs, you almost get the impression that their environment has twisted into an alternate reality without any aid of a hallucinogen. The strange colours definitely help demonstrate the young soldier’s descent into madness. BEASTS OF NATION is a bold Netflix original. Controversy surrounded its same-day release in theaters and on the streaming service. However, this film was seen by many more people than would risk a ticket purchase on a character-piece filled with social commentary. Certain small independent features should benefit from Netflix Studios. With an important message, the value of this progressive release strategy definitely pays off. Surely, the director wanted this project to be seen by as many people as possible. A studio like Netflix affords filmmakers this benefit. Despite an uneven 2nd and 3rd act, the first few establishing chapters are mesmerizing. 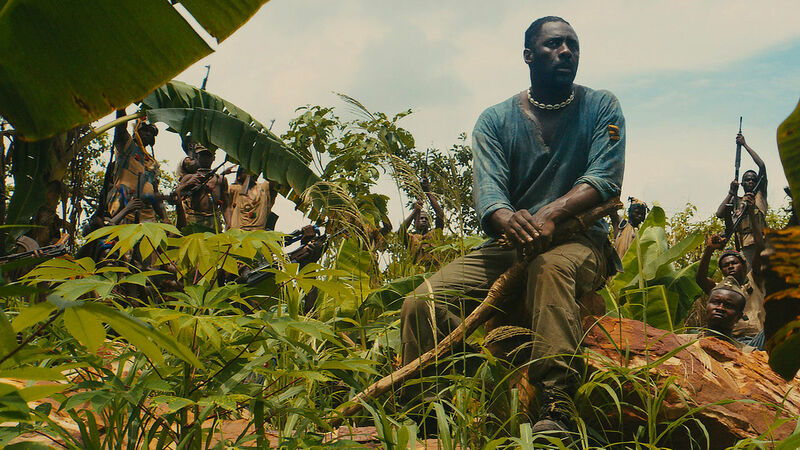 Overall, BEASTS OF NO NATION is definitely worth watching. 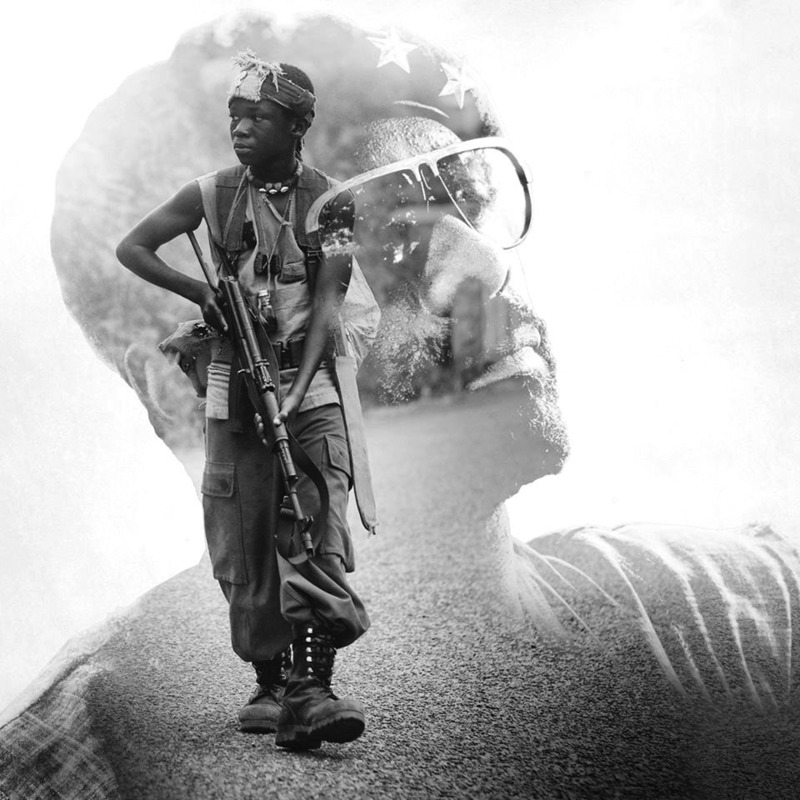 Posted in movie review, moviesTagged abraham attah, africa, apocalypse now, award, beasts of no nation, child soldiers, cory fukunaga, francis ford coppola, full metal jacket, idris elba, movie, movie review, Netflix, nomination, oscars, review, terrence mallick, TIFF, warBookmark the permalink. I think this movie would break my heart. The thought of kids taken away from innocence it’s too sad for me. You’re right, Paola. The subject matter in itself is disturbing. However, it’s worth seeing how this one child dealt with the situation and all of the obstacles. For me, it adds some understanding to a conflict I can’t comprehend from the safety of my own childhood in safety. Thanks, James. I remember really enjoying your analysis in earlier review, as well. That whole sequence in the trenches was just one example of great cinematography. The film is beautifully framed and lit throughout isn’t it. Thanks for commenting, buddy.